TECNIS® Symfony IOL is the first lens of its kind to combine two unique technologies for outstanding visual performance. An Extended Depth of Focus IOL provides a continuous range of high-quality vision from near to far and points in between and may reduce the frequency of wearing glasses. The TECNIS® Symfony Toric intraocular lens compensates for corneal astigmatism as well as a range of continuous vision including distance and near. It has two meridians of different power, which can be aligned with the steep and flat meridians of the cornea. The fully diffractive surface of the TECNIS® Multifocal IOL provides advanced image quality at all distances under any lighting conditions and regardless of pupil size. Empower your patients’ vision with proven optical quality. The TECNIS® Toric IOL delivers the sharpest vision, best low light performance and long-term sustainability for patients with astigmatism. 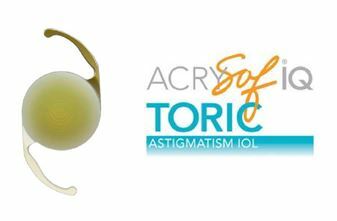 AcrySof IQ ReSTOR Multifocal IOLs feature aspheric optics to reduce a specific type of higher-order aberration called, spherical aberration. This reduces halos around lights at night and improves image quality for enhanced visual clarity. With an aspheric design and unique light-filtration properties, the AcrySof® IQ Monofocal IOL delivers an advanced optical profile that was designed to emulate the natural crystalline lens. Spherical aberrations can reduce image quality, especially in low-contrast situations or when the pupil is dilated. AcrySof® IQ IOLs feature a unique negative spherical aberration to compensate for the positive aberration of an average cornea. Lenstec’s Softec HD single vision IOL was designed to meet these higher patient expectations in a micro-incision lens. The Softec HD addresses the issue of spherical aberration inherent in conventional monofocal spherical IOLs by adjusting the optic with a patented design on both the anterior and posterior surfaces. 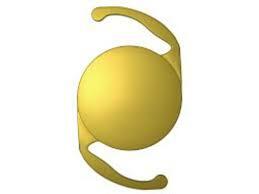 The curvature of the lens element is calculated and shaped to achieve the ideal single point of focus. This enhanced aspheric optic has zero spherical aberration, which results in sharper vision for the patient. 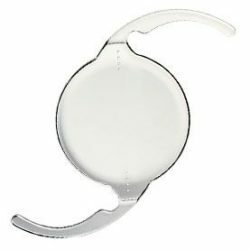 Additionally, this IOL is manufactured in 0.25 diopter increments in contrast to all other single vision IOLs which are manufactured in 0.5 diopter increments. This allows Dr. Ginsberg to choose the most appropriate IOL with more accuracy than other brands of single vision IOLs.